in. Most of them wore clogs. They were obviously half-starved and a dispirited lot. Johnny would speak to any of these people, if there was an opportunity. 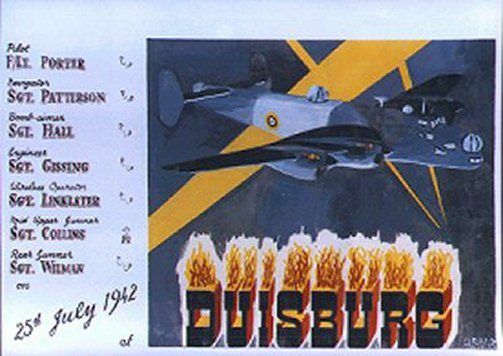 There were quite a few Polish airmen in our camp, they had escaped to England and had joined the R.A.F. About twelve of them escaped from the camp early in 1943. They must have had help from Polish sources. 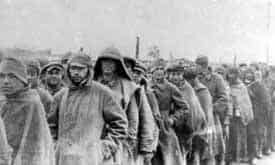 By the fall they had all been recaptured and the Germans decided to move them. 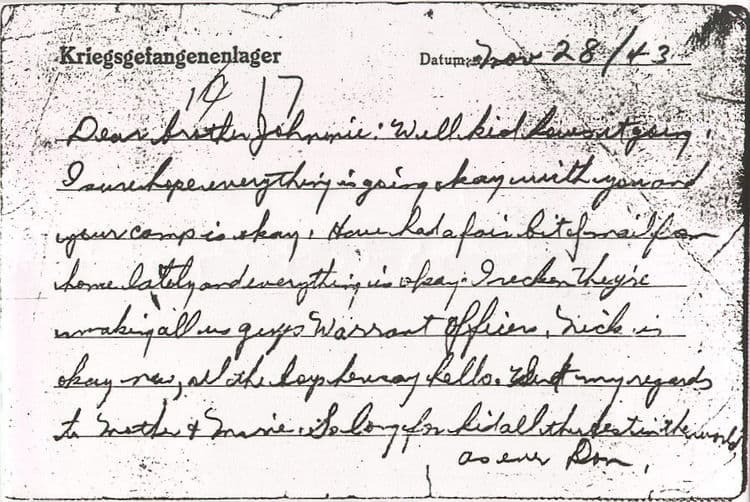 The Germans knew Johnny could speak fluent Polish and as he already had a record of two escapes they moved him out to Barth, Poland - Stalag I. He was there a short while and moved to Stalag IV B which was West of VIII B. While Johnny was still with us the Germans were short a set of handcuffs from our compound. We spent countless hours on the Parade Square while they searched the barracks for those handcuffs and never found them. Imagine my surprise while visiting Johnny in Regina in 1956 or so, he brought out the missing handcuffs. And, incidentally, his daughter Jo-Anne still has them. It was a sad day when Johnny left, he was a true buddy and comrade. When Johnnie and I were recaptured, we still had no news of Les Nichols (Nick). Nick finally came back to Lamsdorf after his appendix operation, but Johnnie had already been moved, first to Stalagluft I at Barth, then to Stalagluft IV_B (West of VIII_B). Nick had had his operation in a convent hospital and he had been treated well. Apparently, the Sisters had made a bit of a fuss over him; probably because he was still a young lad of 18. 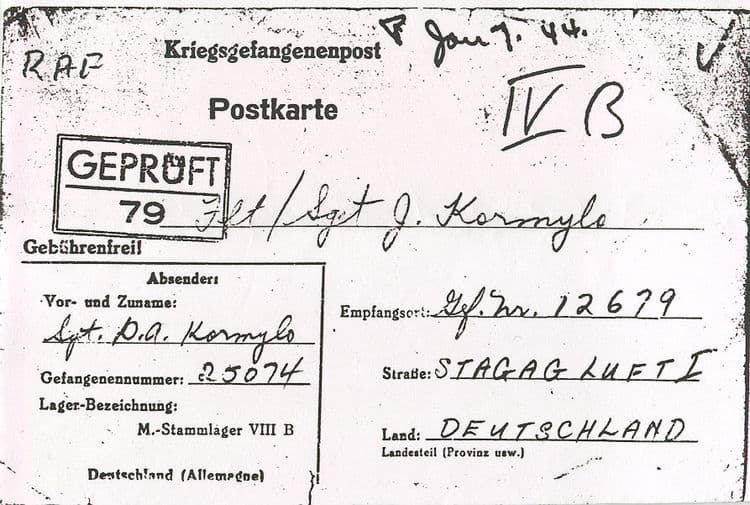 I wanted to let Johnnie know that Nick had returned and was well so I sent him the following "Kriegsgelangenenpost Postkarte" from the Lamsdorf Camp. I thought that the card might get through better if I made out that I was Johnnie's brother. It was forwarded from Stalagluft I to Stalagluft IV_B. Johnnie kept the card and his daughter showed it to me when I first met her a few years ago. Dear brother Johnnie. Well kid how's it going.